When you meet someone for the first time, your face is the first thing that person is most likely to notice. 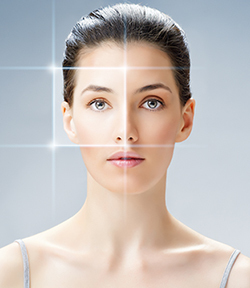 If you are unhappy with the image others are seeing, we can offer you a variety of state-of-the-art procedures to restore a more youthful look and increase your confidence. Dr. William Silver, M.D. believes that no two patients are alike, and customizes a procedure plan to meet your specific needs. Your individual consultation with Dr. Silver will reveal which combination of procedures will be necessary to achieve your optimal results. Some patients will benefit from non-surgical treatment, such as BOTOX® Cosmetic, fat grafting, or facial fillers. These non-surgical options alone may refresh your appearance or delay the signs of aging, or may complement a face lift and refine natural-looking outcomes or maintain your more youthful appearance. Click on the links below to see a variety of before & after photos.